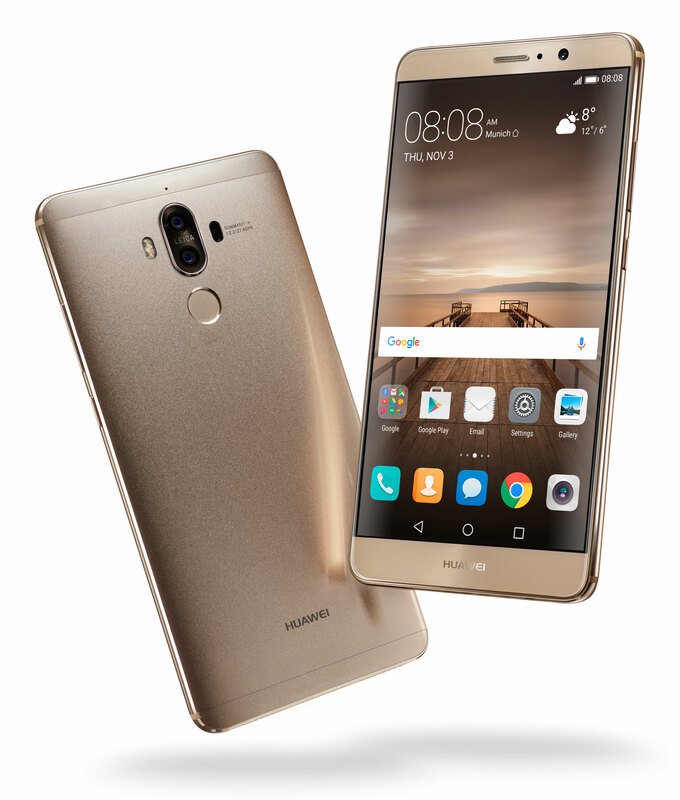 Full product specs of the Huawei Mate 9 can be found below. When you look at the phone and hold it in your hands for the first time, you feel like you are holding something important. A lot of attention has been given to the crafting and materials. The look and feel are top notch. What I particularly loved was the fact that the design language has changed considerably since the Mate 8 and it shows. The curves on the edges of the device are very comfortable to hold. The ample screen has been fit into a very manageable frame. The rear side of the phone has a matte finish that is polished and clear. It does not smudge all that easily. The frame of the device is really very thin. Given all the firepower it has, we were expecting it to be heavier, but it is pleasantly light and nifty. In summary, the look and feel screams premium all over. The rear side of the device houses a fingerprint sensor, which responds very fast to the touch and very accurately reads prints. The charging point is a USB-C connector at the bottom of the phone and there’s a 3.5mm headphone jack on the top. The device has a very practical 64GB of storage as standard, which you can expand further with a microSD card. 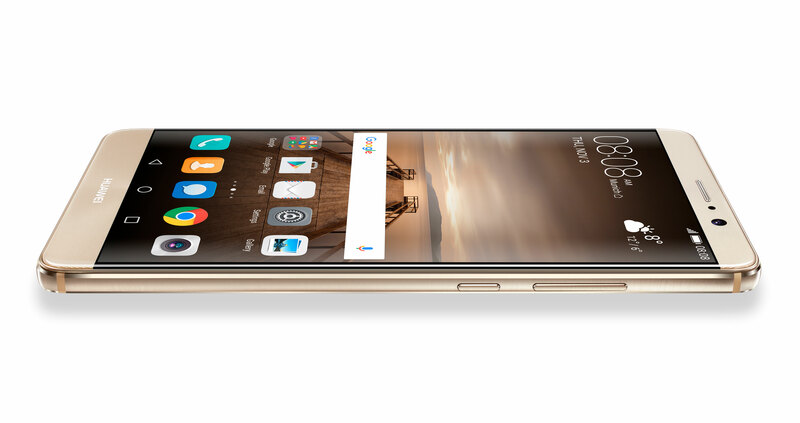 The phone runs on Huawei’s latest octa-core Kirin 960 processor, ably supported by 4GB of RAM. It’s a powerful processor that just breezes through any performance benchmark tests that you throw at it. There is more than just specs to this powerhouse though. We will get to that in a bit. Let us talk more about the phone now. That brings us to one of the heroes of the device – the dual camera on the rear. 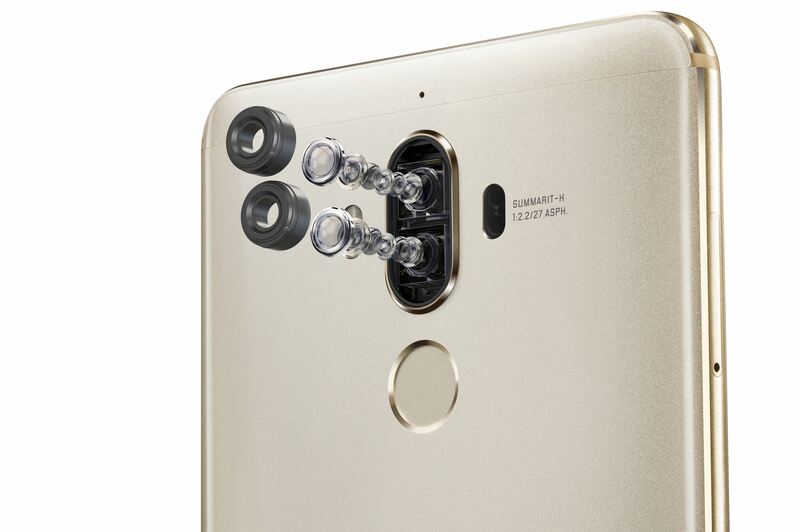 Huawei’s partnership with Leica made the P9 a cut above the rest and with the Mate 9, it has gone a step further. The 12 MP + 20 MP combination that takes color and black and white photos respectively works brilliantly as a team to give very impressive photos even under testing light conditions. We particularly enjoyed the various preset modes that one can use readily with the camera interface. We had hours of joy with the pictures. The Pro mode is pretty nifty too. The front camera is no slouch either. The Huawei Smart Selfie mode is built into this one too. 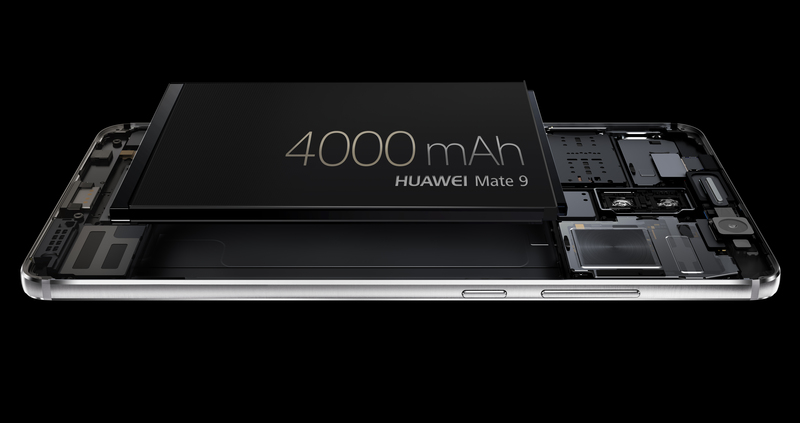 And then there’s the other hero of the phone – the 4000 mAH battery. On a single charge, we put the phone through above average load with a healthy mix of WiFi and 4G usage thrown in with some videos and heavy social media usage. The phone was easily able to run through a good 15 hours on a single charge. The support for quick charge is an added bonus. On busy days when you need to be up and running in a short time, it stands you in good stead. Nice feature to have. And we are saving the best bit for the end. The phone comes with machine learning built-in. The device actually studies your pattern of usage and takes that into account to intelligently manage background tasks and to guess what task you will be opening up next. When put in context, it means that the phone is never short of memory or stuttering at any time. Initially it may be too tough to spot this, but with time we were able to see clearly that the algorithm was working very well indeed. In summary, the Huawei Mate 9 is a good productivity enhancer, decent photographer and an impressive performer. The form factor makes it an ideal replacement for the Samsung Galaxy Note 7 that seems to be bursting with energy quite literally. Huawei has made a device that takes the user experience to a nuanced high level that will make the phone an extension of you. A very clear trendsetter by Huawei that others will now follow no doubt. Exciting times ahead!